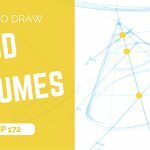 Hey, today I would like to share with you some TIPS about How to draw ellipses in perspective. It will be a great start for later on drawing things such as glasses, bottles, bowl, wheels… basically cylinders and offset. If you need, feel free to watch How to draw a cube with 2-point perspective, video first. 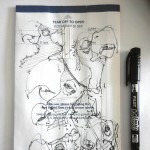 It will be your first step of the sketching tutorial. Below are the the different steps in picture. 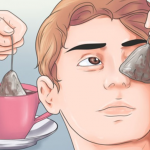 Step 2 | Divide the front face in 4 equal parts and find the center. Step 3 | Draw the Minor axis going through the Vanishing point and the center. 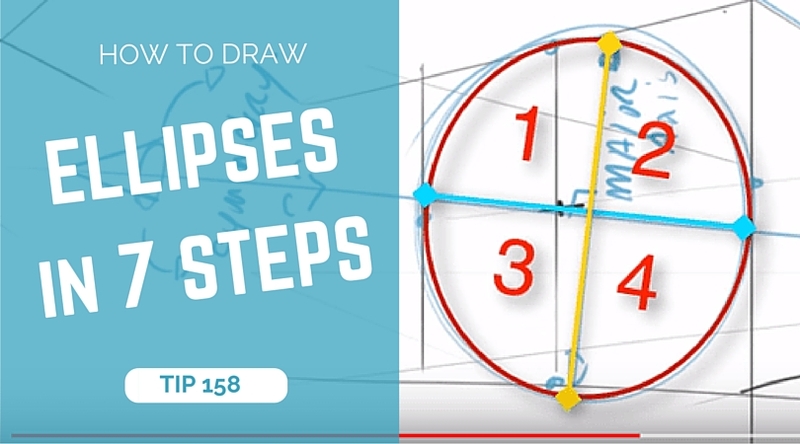 Step 5 | Trace your ellipse ! Step 7 | Check that both axis are Symmetry axis of the ellipse ! The Minor axis is the shortest distance of the ellipse. The Major axis is the longest distance of the ellipse. Take a pen, explore multiple angles of cubes and enjoy ! Hi Chou-Tac, thanks for your and this video. You can put a perfect circles in a box, where all sides have the same length, so you can put a perfect circles in a square. If you want a perfect square in perspective, you are using ellipses. They are not the only tool to get a square in perspective, but its one of the fastest ways. 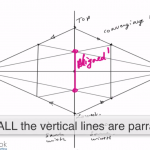 In your video, you first established the right and left vanishing point, you draw the “square” in perspective, and then you draw the ellipse in it. Maybe it will work sometimes, but thats not the correct way, because this can lead to a wrong ellipse. The right way doing it, is to draw the ellipse first and let your ellipse guides your vanishing points, or you draw your left and right vanishing points first, draw a square but only with 3 edges (top, down and left side), then you put your ellipse in and CHECK if its the correct one, to get the 4th edge (right side). I hope you understand what I mean and that you can do a video about that, because there are only a little material about that topic. In fine I understood how to draw the minor axis. But it doesn’t work with ellipses in the rectangle. How to draw those? Just with four points in the middle of every side? In few words, you have to SIMPLIFY complex objects in multiple simple one. 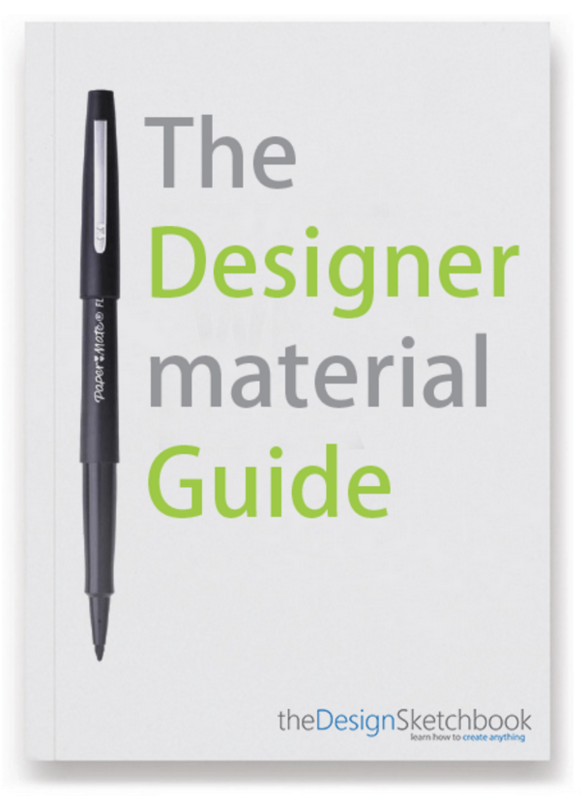 To do that, you need to ignore the details, colours, logos… Think” “structure”. For example, if you create a new way to ride a bike, draw the “architecture” of the bike. Focus on how it works, how people will ride it. Then only you will spend more time on the shape and details of the bike. It’s convenient start drawing a side view so you can get the proportion. Later your challenge will be “transposing” this side view in perspective. There is multiple ways to start a project, but this one is pretty efficient. About the eye level, it’s all the same as what you can find in the Designer Starter Kit for a cube. Thanks Chou-Tac,i will apply this methodology and try to avoid getting distracted by details. I feel it’s worth adding that we usually draw ellipses to present CIRCLES in perspective. As a result, the bounding box needs to be a SQUARE in perspective. If accuracy is important, you may need to use a few more steps and construction techniques in your sketch. Personally I need more practice with this, but I’m down on the theory involved. Hey Luke, you are right it’s worth mentioning the Circle. Thanks ! Great tip! By drawing the cube in perspective first you eliminate the guesswork as to how open the bottom ellipse should be compared to the top. I agree, it’ all about eliminating the guesswork.